It’s London calling for Moynat, as the House opened the doors of its first ever foreign boutique on March 12. Moynat won the hearts of the British travelers with the revolutionary Malle Anglaise (English trunk) unveiled in 1870. 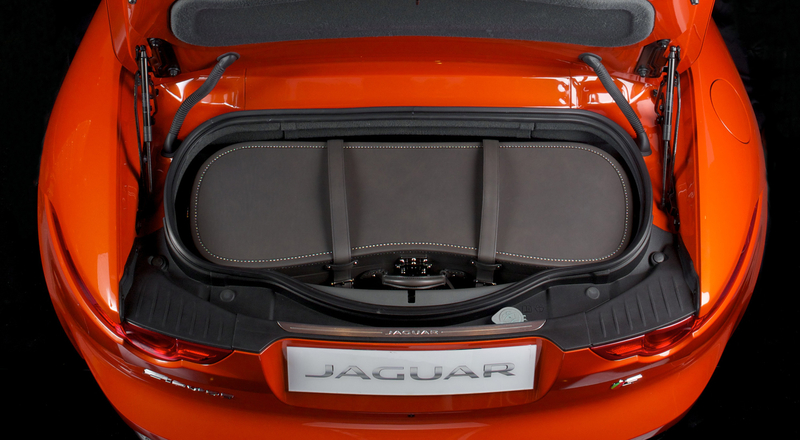 The ultra-light trunk instantly became an ideal companion for cross-channel voyages. 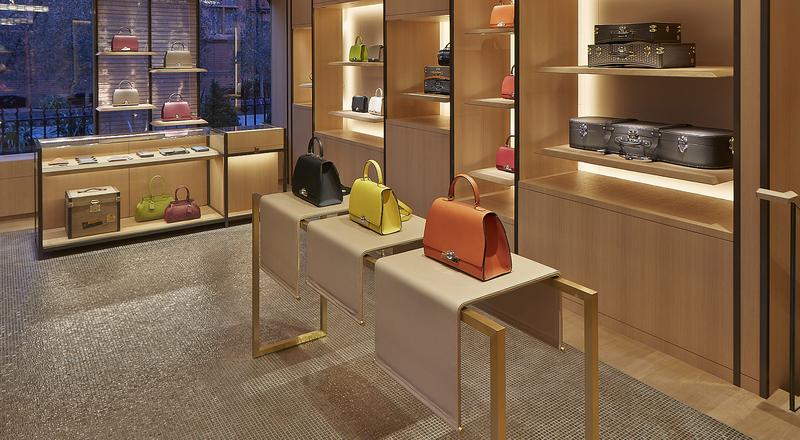 Now Moynat has made a move to once again captivate the hearts of the British. 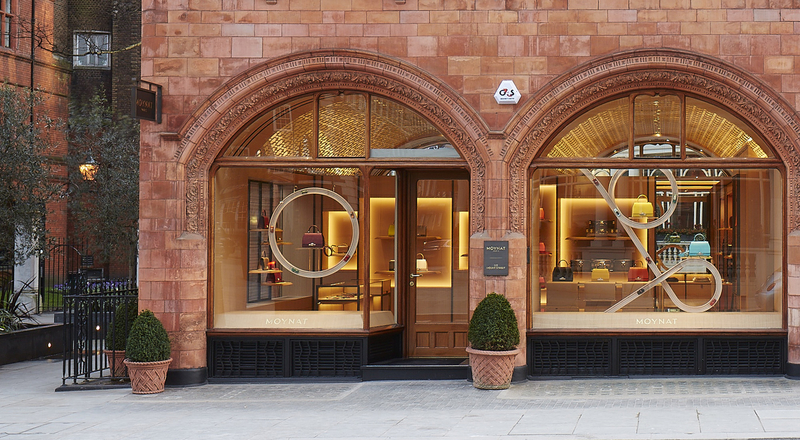 The lineup of the London flagship, located at 112 Mount Street, includes handbags, signature trunks and accessories, as well as two new bespoke styles created for the British market. A personalization atelier located in the boutique will offer hand painting of initials and the possibility to create made-to-measure trunks and handbags. 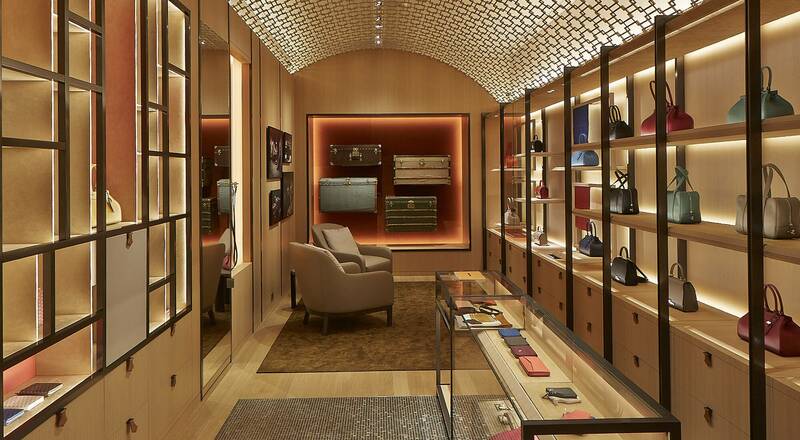 Celebrating the opening of the boutique and paying tribute to the famous Limousine travel trunk, Moynat has also unveiled a made-to-measure trunk that fits the boot of the iconic English sports car, the Jaguar F-Type convertible. The new boutique was conceived by designer Gwenael Nicolas. The design drew inspiration from the signature curves of the Moynat trunks and handbags as well as the Art Deco elements from the golden age of the House. The project is the second collaboration with the celebrated designer, who was behind Moynat’s Parisian boutique at 348 rue de Saint-Honoré .